Churchill, Manitoba is proud of its management of problem polar bears and rightly so. But it took time and money to implement the solutions that allowed Churchill to function as it does today, and that should be a lesson for other Arctic communities that have only really started to have problems with polar bears in recent years. For those who want to understand the problems facing other communities, including Arviat (formerly “Eskimo Point”), a town 260 km north of Churchill. Arviat has a population more than three times the size of Churchill and has been having significant problems with bears since about 2007. I’ve made an excerpt of an excellent paper written by Ian Stirling and colleagues that was published back in 1977 (Stirling et al. 1977). 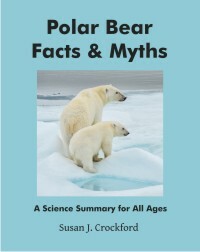 It describes in detail the problems Churchill had with polar bears in the 1960s and 70s when bear numbers were on the rise — and the various steps that were taken to try and resolve them (even by the time the paper was written, not all of them had been adequately resolved, see Kearney 1989). 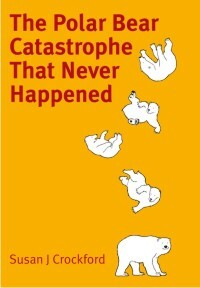 It’s a fascinating read — see it here. The entire paper is available below. Note there were two fatal polar bear attacks in Hudson Bay this summer. Both of them happened outside local communities and both happened early during the ice-free period (when bears would have been onshore for only a few weeks). Neither incident can be reasonably blamed on lack of sea ice, an extended ice-free period, or lack of management of problem polar bears within or near communities. Kearney, S.R., 1989. The Polar Bear Alert Program at Churchill, Manitoba. In: Bromely, M. (Ed. ), Bear–People Conflict: Proceedings of a Symposium on Management Strategies, Yellowknife, Northwest Territories Department of Renewable Resources, pp. 83–92. [courtesy M. Dyck, Gov’t of Nunavut] Pdf here. Stirling I, Jonkel C, Smith P, Robertson R, Cross D. 1977. 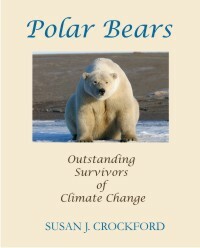 The ecology of the polar bear (Ursus maritimus) along the western coast of Hudson Bay. Canadian Wildlife Service Occasional Paper No. 33. pdf here. This entry was posted in Polar bear attacks, Population, Sea ice habitat and tagged Arviat, attack, Churchill, fatality, Hudson Bay, polar bear, problems, sea ice. Bookmark the permalink.